Madera County is located in the exact center of California, in the heart of the Central San Joaquin Valley and the Central Sierras. It is one of the fastest growing counties in California. Fresno County borders on the south, Mariposa and Merced counties on the north, and Mono County to the east. The County is located in the center of state, in an agricultural area. Longitude – W1207 degrees and Latitude – N3648 at the Madera Airport. Advantages: Highway 99, an all season freeway allowing access year round; positioned to take advantage of increasing export trade in Pacific Basin; reasonable proximity to Silicon Valley, Bay Area and Sacramento. 1,374,160 acres; 2,147 square miles. The exact (surveyed) geographical center of the State of California, stretching from the rich San Joaquin Valley to the crest of the Sierra Nevada, the highest mountains in the contiguous United States. Bordered on the north by the Chowchilla River and on the south by the San Joaquin River, the County includes some of the richest agricultural land in the nation. Unincorporated communities: Ahwahnee, Bass Lake, Berenda, Coarsegold, Fairmead, Madera Ranchos, North Fork, Oakhurst, O’Neals, Raymond, and Rolling Hills. Madera County offers a mild climate, with some variations experienced between valley and foothill communities. The mild climate is conducive to year ‘round crop production. Rainfall is generally experienced during winter months. Eastern Madera County enjoys a more traditional seasonal climate with slightly lower summer temperatures and winter snowfall. Roads, however, remain open throughout the season, offering access into Yosemite when other routes are unmanageable. * These temperatures will vary in higher elevation areas. Frosts possible December through February. Rainfall averages 12 inches. Relative humidity at 4 p.m. varies from 17 to 22% in summer and 50 to 70% in winter. In the mountain communities winter temperatures average 24F to 30F minimum and rise to a maximum of 85F to 95F in summer. Above 5,000 feet winters can be slightly more severe with year round snow on the highest ranges. Highest point is – Mt. Ritter, 13,157 feet. Lowest point is – 180 feet. Chowchilla Airport – 237 feet. Madera Airport- 282 feet. Madera County is assigned to Seismic Zone 3. All counties in CA are assigned to Zone 3 or Zone 4. Zone 3 is considered the safest out of the two. 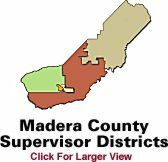 Madera County consists of 10 school districts. The county includes five high schools, more than 40 public elementary schools (including middle schools) and 35 parochial and private schools. There is also a State Center Community College Campus in Madera. The Madera Center offers 38 areas of study, including Engineering, computer studies, business, art, child development, and licensed vocational nursing. Coursework meets two-year degree requirements and are transferable to four-year colleges and universities. California State University, Fresno and the University of California, Merced are both located within commuting distance of Madera County. Offerings include bachelor’s degree, master degree and Doctorate programs. Offerings include bachelor’s degree programs in 55 fields of study, master’s degree programs in 40 areas and a joint doctorate in educational leadership with the University of California. Enrollment exceeds 18,000, including 3,000 graduate students. This private university offers associates, bachelors, and master’s degrees in a variety of subjects. Enrollment exceeds 1,500. Located in Fresno, National University offers a variety of degrees at bachelors and masters levels. Enrollment tops 1,000. Over one hundred degree programs are offered at the University of Phoenix. The University specializes in accessible education for the working student. Degree programs include; Associates, Bachelors, Masters and Doctorial Degrees. An accredited law school specializing in legal education. More than 100 fields of study are offered in day and evening classes, with centers in Madera, Fresno, Reedley, Clovis, and Oakhurst. The District emphasizes new technology, business and evening programs, on-site technical and academic training, vocational education and allied health careers. Enrollment district-wide exceeds 20,000 students. FCC is a comprehensive community college offering innovative instructional programs. Certifications for electronic systems technicians, computer service technicians, computerized office administration, computerized accounting, and this private institution offers all health insurance specialists. Enrollment exceeds 650. This Fresno-based private college offers A.A.S. degrees. Enrollment surpasses 525 students. San Joaquin Valley College is an accredited private junior college that provides accelerated career-focused curriculum and instruction to its students. Alliant International University, a nonprofit institution of higher education headquartered in California, prepares students for professions in the applied social sciences. Alliant offers degree programs to graduate students, and to undergraduates who have completed at least two years of college work. ITT Educational Services, Inc. is a leading private college system focused on technology-oriented programs of study. It provides career-focused, degree programs to students. Five County Supervisors and one County Administrator. Madera and Chowchilla have City/Manager governments. County Seat is Madera. 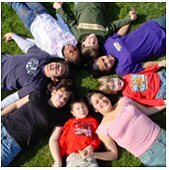 Madera’s medical community provides a wide range of services from health education to emergency care. Madera Community Hospital is a full service, accredited acute care facility serving all age groups. Also located in Madera County is Children’s Hospital of Central California – the 13th largest pediatric facility in the nation. The 50-acre campus provides extensive services for a service area spanning from Bakersfield to Sacramento. 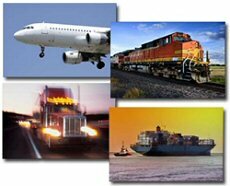 Government: Government is the largest industry in Madera County. Government jobs account for 24% of the county’s workforce. Contributing factors to the high percentage is employment of two state prisons; Central California Women’s Facility and Valley State Prison located in rural Chowchilla. Together the prisons employ a total of 2,300 employees. Also, the employment of Chukchansi Gold Resort & Casino is also included in government statistics due to its sovereign nation status. The Casino employs an estimated total of 1,200 employees. Agriculture: The agricultural industry in Madera County sustains a billion dollar production value. This number reflects not net income, but gross income. Out of this figure flows money for production costs; money spent on seed and fertilizer and pesticides, farm equipment and fuel. Wages are paid to those who prune vines and trees, to irrigators and harvesters, to packers and processors. This money in turn is spent on housing, at grocery stores and other local businesses. Taxes are paid, both on farming property and on the income derived, supporting local schools and roads and safety personnel. Manufacturing: There are over 100 manufacturing and processing plants in the Madera County area. Major production concentrations are wine, dairy products, glass bottles, cardboard boxes, fiberglass insulation, food processing equipment, air cooling units and plastic. One daily and four weekly newspapers, three radio stations, cable TV systems, and seven valley UHF TV stations received direct. Highway 99 is one of the state’s major transportation arteries and serves as the primary north/south route through Madera County. State highways 152, 145 and 41 provide convenient access to points within and beyond the county, including the state’s other major north/south artery, Interstate 5. Highway 41 serves the Southern entrance to Yosemite. Highway 49 (The Golden Chain) starts at Oakhurst and runs north through the historic California Gold Rush Country in the Sierra foothills. State Highway 152 links State Highway 99 and Interstate 5 for a direct route to the Coast and the San Francisco Bay area. Highway 145 runs south from Madera to the Morro Bay/Pismo Beach area. Continental Trailways and Greyhound buses serve the valley. Trucking: There are 27 common carriers and 10 general-haul truck lines in Madera County. Air: Fresno Yosemite International Airport offers both passenger and freight service and is located within a half hour’s drive from the city of Madera. Private air traffic is serviced through Chowchilla Airport or Madera Municipal Airport. Madera Airport offers a 5,544 foot runway. Ports: Port of Stockton is 104.5 miles from Madera, Port of Oakland is 153 miles, Port of Sacramento is 175 miles and Port of Long Beach is 265 miles. Rail: Rail service is provided by Burlington Northern Santa Fe Railroad and Union Pacific Rail – County Team Track in Chowchilla. Amtrak’s San Joaquin line provides passenger service to and from Madera. Pacific Gas and Electric Company supply electricity and natural gas. Chowchilla and Madera provide municipal water and sewer services. Several Maintenance Districts and Mutual Water Companies supply water and sewer service in the unincorporated areas. 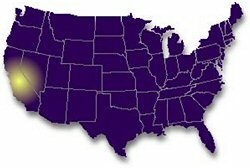 Pacific Bell services the valley and Sierra Telephone Company and Ponderosa Telephone Company serve the mountain areas. With its roots in the lumber and agricultural fields, Madera County offers a workforce with a strong ingrained work ethic. 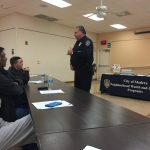 Madera’s people make great employees – turnover rates are low and productivity rates are high. And with a current growth rate of about 4 percent, employers are finding an expanding pool of applicants at every skill level. Employers in Madera County most commonly draw from a labor pool within a 30-mile radius from the cities of Madera and Chowchilla. This labor pool is commonly referred to as the Fresno-Madera MSA, which is abundant, affordable and efficient.